The Iran deal, known officially as the Joint Comprehensive Plan of Action or JCPOA, came into force a week ago on October 18th. Now that the agreement is in place and being implemented, businesses are preparing to invest in Iran. However, the relaxation of the Iran sanctions has not helped Crédit Agricole, which recently agreed a US$787million settlement with US regulators over the issue. The alleged breaches of protocol took place far before the conclusion of the JCPOA, in the period from 2003-2008. The New York Department of Financial Services identified US$442m of dollar-denominated transactions in violation of sanctions, out of around US$32bn worth of clearing transactions with obscured beneficiaries. Iran-related transactions did not represent all of this amount, with other transactions allegedly made for Sudanese, Cuban and Burmese-controlled entities. Although processing these transactions was legal under the bank’s domestic law, Crédit Agricole opened itself up to US jurisdiction by clearing dollar-denominated payments and thereby using the US financial system. Had these payments been made in euros or Swiss francs, for example, the understanding is that no laws would have been broken. This remains relevant even in the wake of the Iran deal, as sanctions remain in place for the other countries named. Financial institutions and their compliance departments should therefore remain vigilant to avoid the use of techniques such as those used in this case. Indeed, many banks are pouring investment into their compliance functions in the hopes of reducing these large settlements in future. Deutsche Bank, Société Genérale and UniCredit are three other European banks currently under investigation for similar sanctions breaches. KFC recently gained permission to commence operations in Iran, following in the footsteps of fast food rival Burger King. If your business has been considering entering the Iranian market, contact Healy Consultants Group PLC’ experts at . 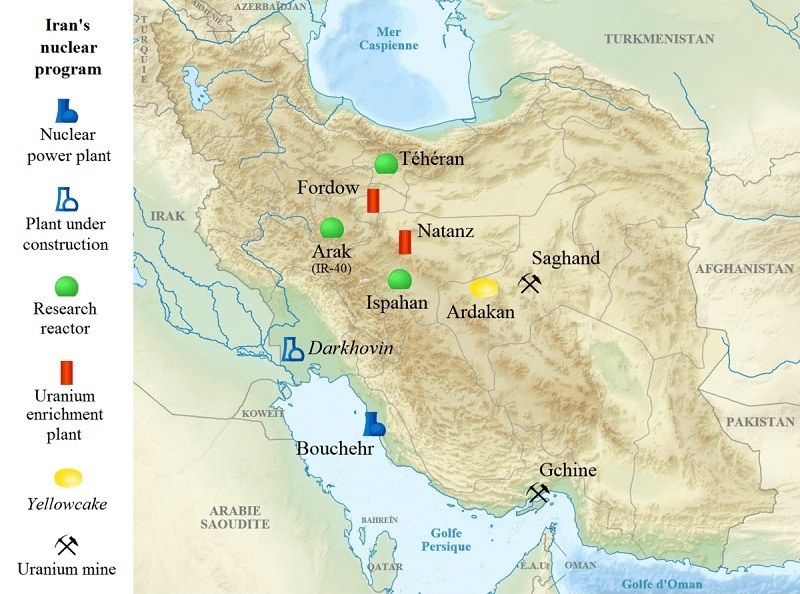 Image credit: Iran nuclear program map-en” by Yagasi, translation of the original work by Sémhur – https://commons.wikimedia.org/wiki/File:Iran_nuclear_program_map-fr.svg. Licensed under CC BY-SA 4.0 via Commons.